I yearn to return to Europe often; one of many reason being the rich architecture, food and culture that floods European cities. When I eat out, I like to feel that I am relishing a cuisine that is rooted in the different landscape and culture, true authenticity not just in the food itself but also in the ambiance. The Rocks is one of Sydney’s most popular cultural hubs – so rich in history that it makes you easily forget where you are and transports you back in time. 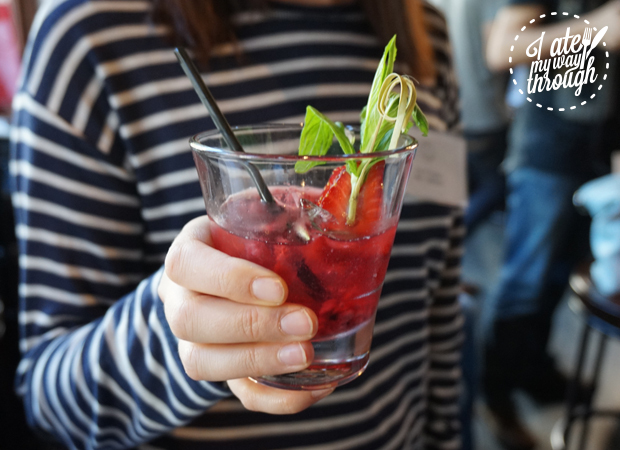 Last month, I attended The Rocks Food and Wine Famil, and was lucky enough to find six hidden gems amongst the rocks, in the form of food and wine, of course! Who doesn’t love bread? I certainly do and am yet to meet a person who doesn’t. Le Pain Quotidien has only recently opened their bakery in The Rocks, first founded in Brussels in 1990 by Alain Coumont. Translating to the “the daily bread”, this was the first pit stop on the tour and what a great way to start- coffee and croissants, yes please. The space that houses the new bakery was built in the early 1880s, serving as a police station. 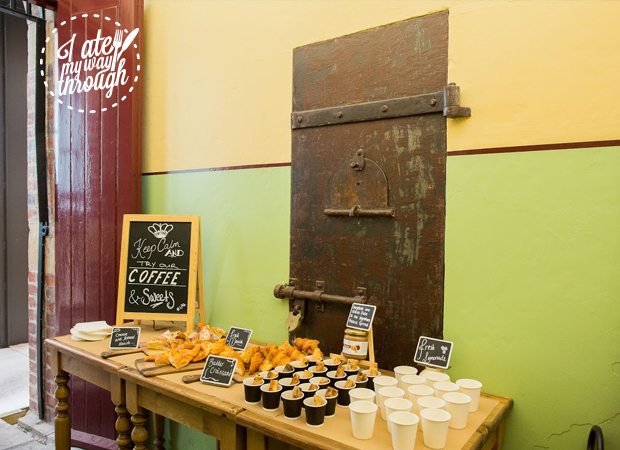 Now refurbished, it is the only place in Sydney where you can dine in an old gaol. Reflective of the name, the bread is made daily, with only organic stone-ground flour, salt, and water, kneaded and shape by hand in a hearth. 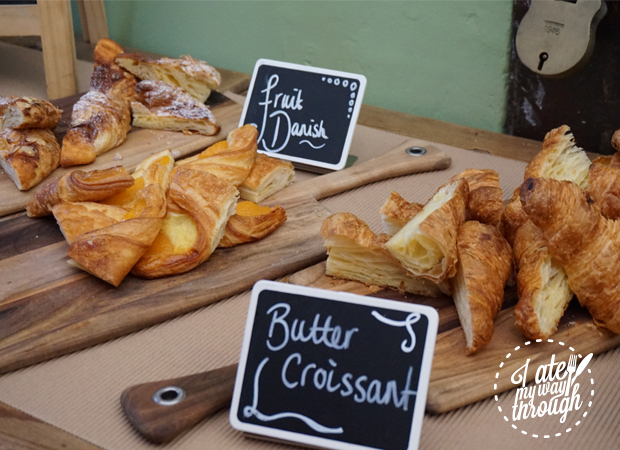 I was fortunate enough to sample some items from their patisserie menu: buttery croissants, just how they should be. I also sampled their hazelnut and raisin flute made better with their signature praline spread, washed down with their house-made lemonade, which was extremely refreshing. Le Pain Quotidien is a great option for Sunday brunch, they are also open for lunch and dinner, with the gaol cells making it a great choice if you’re a larger group and want some privacy. 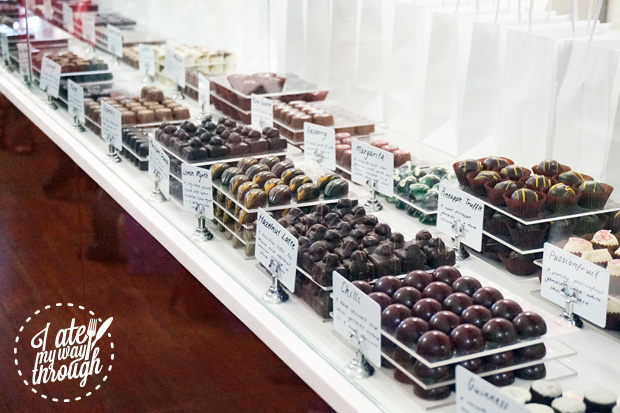 Chocolarts was the second stop, and boy was it a treat. As soon as you open the door you are hit with a strong aroma of delicious cocoa. 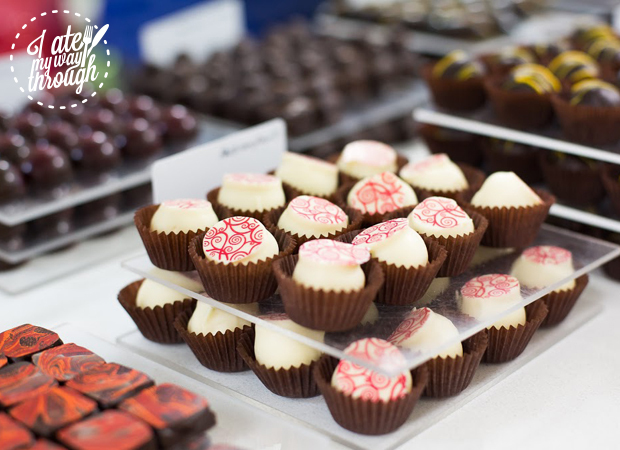 If the smell wasn’t enough, you then become delightedly overwhelmed by the array of chocolates displayed right in front of you, the options are endless, and each crafted and decorated in its own unique colour and shape. Chocolarts has over 50 unique flavours, and when I say unique, I mean it. 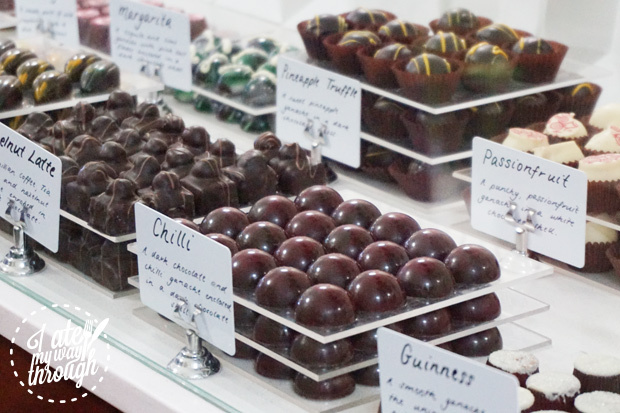 All chocolates are handcrafted in small batches using traditional European techniques with the finest quality Belgian chocolate (100% pure cocoa butter) together with the freshest creams, butters and the best natural Australian ingredients such as honeys, spices and fruits. To give you an idea of how natural the ingredients are, a standout for me was the mint, now this may sound an obvious and boring choice but you couldn’t be more wrong. 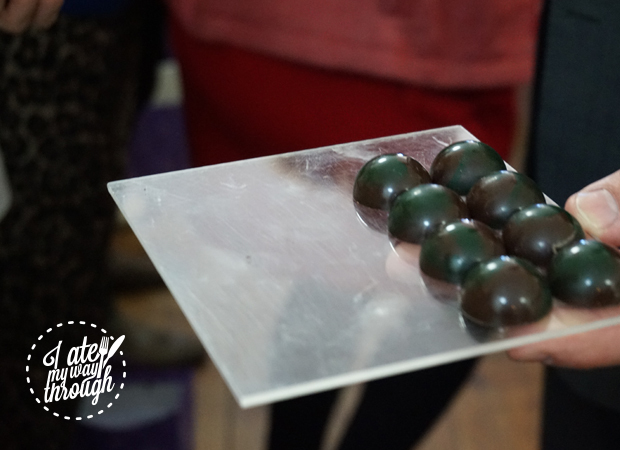 Fresh, local mint, infused ganache with a hint of lemon in a dark chocolate shell. When you bite into this chocolate you do not get that artificial mint flavour we have become to accept as ‘mint’ but real mint, as if you just picked it from your garden. 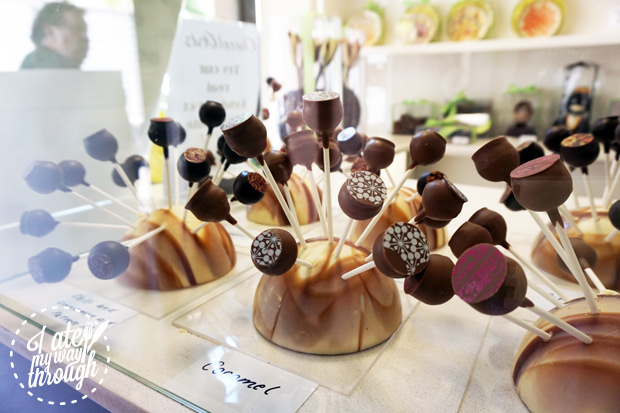 Other flavours including your usual suspects, such as the Caramel and Strawberry Truffle are also delicious, and others, a little more daring such as the Leatherwood Honey and the Daintree Truffle. 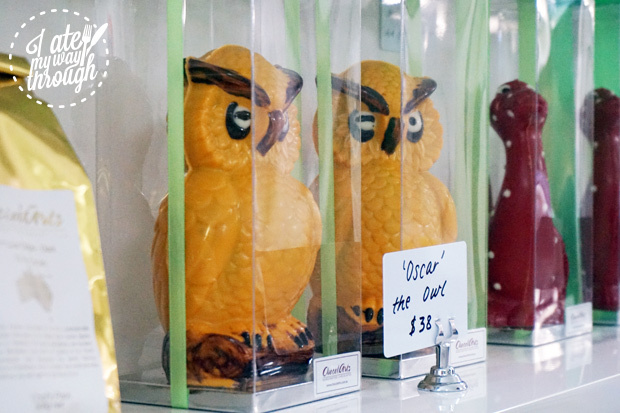 I highly recommend Chocolarts as the go-to spot to pick up something sweet for a loved one, or just a treat for yourself. The setting of Ananas Bar and Brasserie is exquisite. One of the first things I noticed when I entered was the theme of lights in the shapes of pineapples scattered throughout the space in various sizes and forms. Later realising that this was due to Ananas translating to pineapple. Pineapples aside, Ananas Bar and Brasserie is a great addition to The Rocks, bringing a contemporary French Mediterranean dining experience. The entrance opens into a grand bar area that instantly gives you a 1920s old world feel. The bar is open Monday to Saturday until late, serving an impressive selection of beverage from hand-picked selections of French Champagne, wine, beer and signature cocktails. Past the bar is the brasserie, which keeps consistent with the contemporary French Mediterranean theme but in a more intimate manner. I was fortunate to try a selection from each menu. Chef’s selection of house charcuterie with brioche from the bar menu; King Crab Salad with avocado and green apple (my fave) from the lunch menu; Ananas’ seared yellow fin tuna salad nicoise from the restaurant menu. The presentation of each dish was exceptional, carrying through the level of sophistication with each dish, with delicate flavours that weren’t overpowering, creating perfectly balanced, flavoursome meals that highlight the uniqueness of each ingredient. 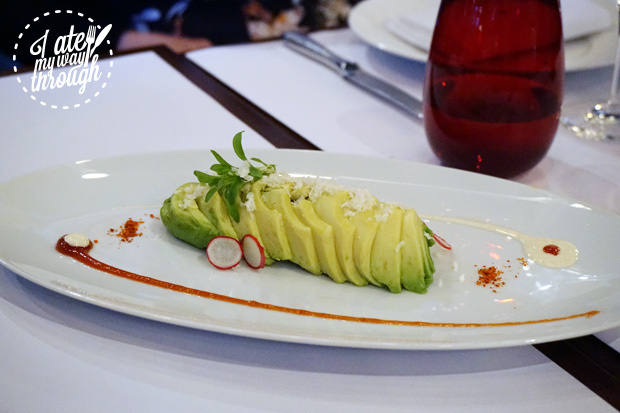 The king crab salad was the standout dish for me, fresh and crisp, with a touch of creaminess from the avocado. This was all accompanied with a glass of the 2012 Chateau Darzac Semillon Sauvignon Blanc, a wine I would highly recommend as it would appeal to most palettes. 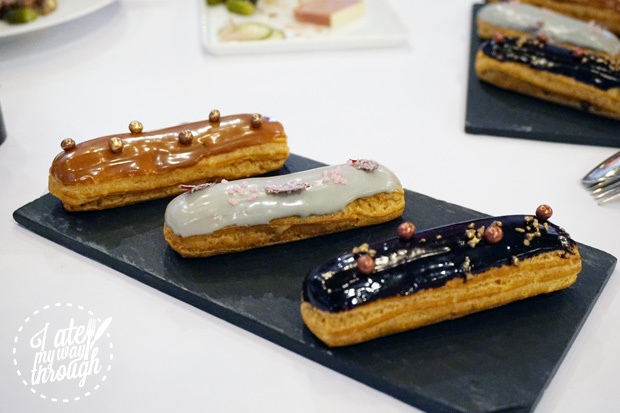 To finish, I was offered a trio of Ananas’ éclairs, we had African Chocolate Éclair, Earl Grey Tea Éclair and a Salted Caramel Éclair and my God, they were heavenly, particularly the Earl Grey Tea, I actually had a dream about it to give you an idea of just how good it was. I would recommend focusing on the French classic when selecting from the menu as they have nailed the flavours perfectly. Are you a wine lover but lack the knowledge? The Wine Odyssey is perfect for wine rookies as well as the experts, because they offer private tutored wine tasting and wine education. 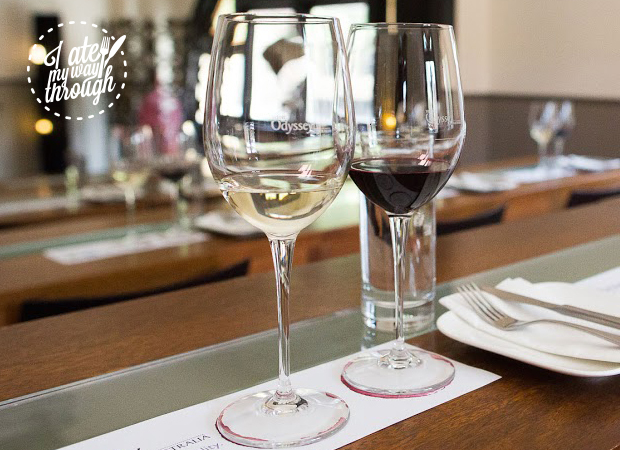 Located in a beautiful, heritage-listed building, The Wine Odyssey boast the best Australians wines. Set across several rooms, decorated to reflect the 19th century charm of the building with a touch of modernism. 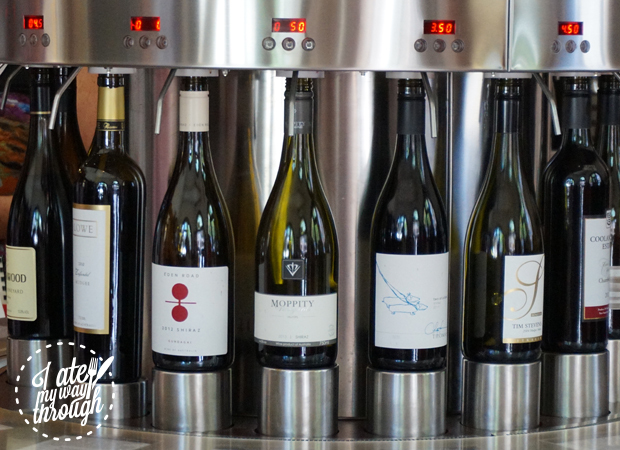 Over 44 wines can be tasted at the Wine Odyssey in the DIY Wine Journey room, that has a pretty nifty self-serving pouring system allowing you to serve yourself by the taste, half or full glass. Even better, you do all this through a smart card, which stores a pre-paid amount; allowing you to insert it into the slot above the station of stored bottles, you select the desired amount, and voila, the wine pours out (you gotta love technology). Taking the wine education to the next level, there is also the Aroma Room, and Tasting Theatre upstairs which is a first for Australia. The Aroma room allows you to identify 50 aromas that characterise the wine. The Tasting Theatre is a unique experience in itself, where you can experience a food and wine, and indulge in a few glasses of delicious wine matched perfectly to seasonal tasting prepared by the chefs. I never really think of The Rocks as a place to hang out with friends and have a few drinks, until now, that is. The Push, is a pub, right in the heart of The Rocks. Similar to its neighbours, The Push, embraces the building’s heritage whilst adding a touch of modernism to the décor. Offering up a great range of cocktails that pay homage to the 1800s. I had a few sips of the signature cocktail, ‘Lady Killer’, which is inspired by the well-dressed ladies of the 1800s. They also have a range of crafts beers and a selection of wines. Food is available after midday until late; the offering is simple, but cooked well. Nachos Bites- spices beef skirt, beans, rocket, cheese and avocado made for a tasty combo. The sliders were also tasty with the options of spiced beef skirt, pork rib, or spices pumpkin for the vegetarians. 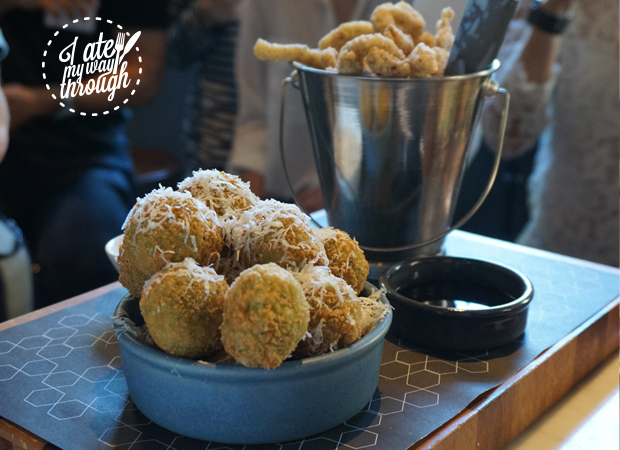 My favourite was the Crumbed Calamari strips, hands down, I could not stop shoving them into my mouth. Overall I would suggest The Push as a great spot for a few after work drinks and a bite to eat. The marvellous rooftop with its sweeping 180 degree harbour view will never get old. Even better, The Glenmore now dons a retractable roof, meaning that you can enjoy the rooftop rain, hail or shine. Interestingly, the Glenmore building is one of the last surviving pre-Harbour Bridge buildings on Cumberland Street. 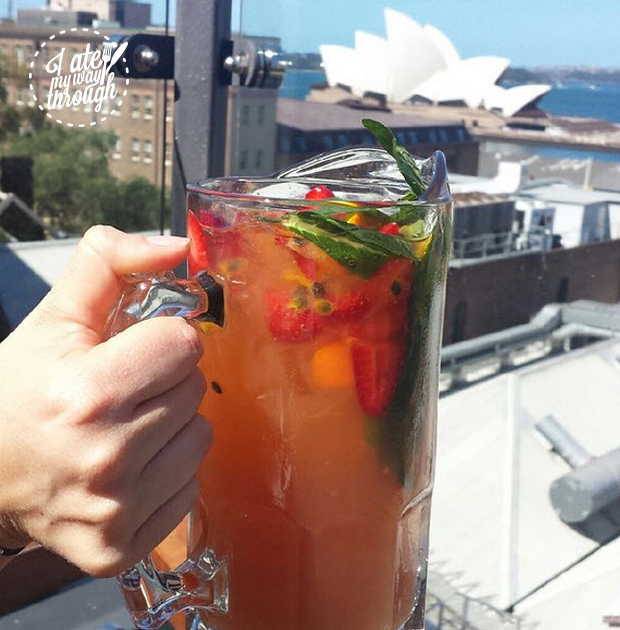 The Glenmore does a great jug of Pims and two other rooftop jugs for $32 each, perfect for sharing with friends. They also have beer on tap and by bottle, as well as wines and cocktails. The view and drinks to me are the reason to go to the Glenmore but the recent changes to the menu make a visit to The Glenmore great for an enjoyable snack or meal. Featuring light snacks and salads to the larger, heartier meals. 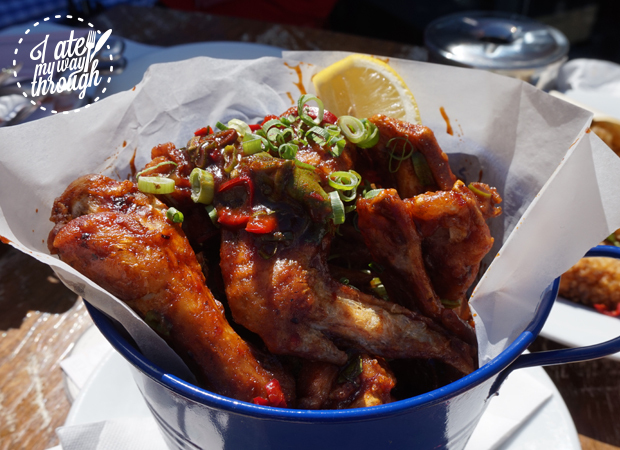 Food to fight over– such as salt and pepper squid, hot wings and the Glenmore chips, makes for great sharing food that ticks all the boxes. Two Hands- offers all your burgers and rolls from The Glenmore Club to the Glenmore burger and Steak roll. If you want to scrap the bread and have more of a fulfilling meal, Knives and Forks- 300g grain fed Black Angus sirloin, chicken schnitzel, fish and chips and salmon fillet should hit the spot. Naturally, there is something for the sweet tooth with a strawberry sundae, chocolate tart or panna cotta available. The Glenmore is definitely a great option for weekend drinks on the rooftop, and hey, why not grab a bite to eat while you’re at it. So there you have it, The Rocks is not just a tourist hub but also a great area with many unique eateries for Sydneysiders. To learn more about The Rocks food and wine culture, visit therocks.com. Eating, travelling and writing are the three things Phoebe enjoys most in life. On a typical Sunday, you will find the die-hard coffee lover sipping her way through local cafes and exploring vintage shops full of undiscovered treasures. A lover of all foods make naming a favourite impossible, but her heart melts at the sight of cheese and cured meats. Seeing the world through a glass half full, Phoebe absorbs a life of culinary bliss and travel.